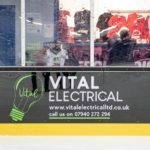 Murrayfield are in Scottish National League (SNL) action on Saturday at Dundee Tigers, before returning to home ice the following day to face Solway Sharks in the NIHL North Cup (face-off 6.00pm). 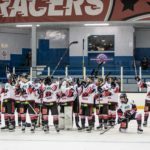 The Racers are expected to have a stronger roster this weekend, with some key players closing in on a return to the ice. 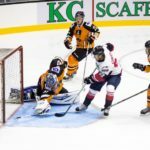 Sunday’s game against the Sharks promises to be a cracker, so get down to Murrayfield Ice Rink to cheer on the team.